Alport Syndrome (AS) is an inherited progressive disease that is caused by mutations of the genes encoding the key collagen chains, α3, α4, and α5, which are necessary for the composition of collagen type IV to form a robust glomerular basement membrane (GBM), capable of withstanding the significant biomechanical strain to which the glomerulus is subjected. Progressive loss of the filtration barrier allows excessive proteinuria, which ultimately leads to end-stage kidney disease (ESKD). 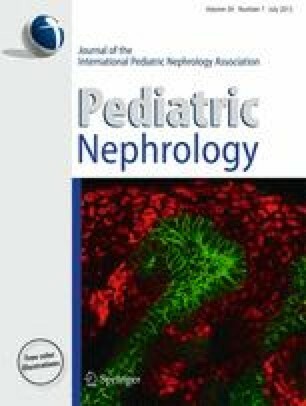 The evidence for a beneficial renoprotective effect of renin-angiotensin-aldosterone system (RAAS) blockade by angiotensin-converting enzyme (ACE) inhibition and/or angiotensin receptor blockers (ARBs) is well established in AS and recent evidence has shown that it can significantly delay the time to onset of renal replacement therapy and ESKD. Future potential treatments of AS disease progression are evaluated in this review.